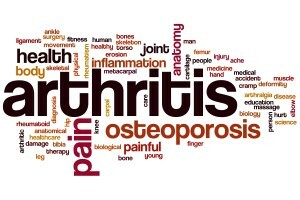 A diagnosis of arthritis does not have to mean the end of your career or a change of employment, necessarily but working life with arthritis can be challenging and there may need to be adjustments and support systems put in place. Most people want to continue with their job after a diagnosis, for the personal fulfilment as well as financial reasons and working with arthritis is perfect achievement in many instances. The Equality Act 2010 has made it simpler for people to show they are disabled and therefore protected against disability discrimination, therefore a person with arthritis cannot be dismissed from their job because of this. There is no longer a requirement in employment law to prove your condition affects specific functions to qualify for protection from discrimination, so in terms of right to work, you are protected as a person living with arthritis. Evidence suggests that working can be good for your health and beneficial to those living with arthritis, provided the right environment is offered. Well-designed work environments and those with flexible arrangements in place ensure people living with arthritis can plan their work and manage their condition around it. Work may be challenging with arthritis, especially if it is a hands-on role but evidence does support people with arthritis being in work because it helps keep your health in better condition. Evidence released by The Work Foundation found that people who are long-term unemployed or have never had a job are between two and three times likelier to be in poor health. Whilst working with arthritis may be difficult and require support from your employer to make it less so, it can help improve your overall quality of life. A survey by Arthritis Care in 2005 found that people in osteoarthritis with jobs experience less frequent pain than those without and work can also be a therapeutic process, giving further structure to your days and making management of the condition more straightforward. Simple and small changes can make all the difference in the workplace and discussing your needs with your employer can make all the difference as they may be able to modify or change furniture, provide new equipment or call in the advice of an occupational health therapist for further guidance.